Maybe I should have listed a Juicer as an important small kitchen appliance rather than as an optional one. Nutritionists say fresh, raw fruits and vegetables are an important natural source for many essential vitamins and minerals. Cooking or storing can destroy some of these nutrients and enzymes. Drinking just one pint per day will help your body detoxify and regenerate through the assimilation of nutrients. And by drinking a glass you decrease your body's desire for starches, sweets and other high-calorie foods. Blending foods is not exactly the same. The idea of using one of these machines is to separate the pulp so that your body can immediately take in the nutrients and not spend energy trying to break down the fiber. Blenders do an excellent job of making salad dressings, smoothies, sauces, soups, and the like, but blenders do not separate the product from its fiber unless you go to the extra step of straining (which is an option). A good machine breaks the cellulose barriers in the cells of grasses, fruits, vegetables and herbs, allowing high levels of nutrients and enzymes to be released in such a way as to enter the body's digestive system. Nutrients are made immediately available to our body cells. Unfortunately, there is no perfect machine because fruits and vegetables have different properties. A particular method that is effective for one may not work as well for the other. If you are thinking about purchasing such a machine, there are several things you must know and consider. Of course -the cost. For example, what in the world can be the difference between a $50 machine and one that costs $1000! or more? But there are other things to consider as well. One of the most important considerations when thinking about purchasing such a machine is ease of use and cleaning because the easier it is to use and clean up, the more often you will use it. If you don't use it, nothing else matters. The amount of liquid extracted from a fruit or vegetable varies from one machine to another. Why is this important? I'm in the restaurant business and understand about "hidden costs." You must have a machine that will maximize the amount of usable product you get from a fruit or vegetable. An efficient machine can get as much as 30% more juice than an inefficient one! 30% less juice is like throwing 1 glass of juice down the drain for every 2 glasses you drink! What type do you want? Different machines have different ways of extracting juice. What difference does it make how the juice gets extracted? In one word: quality. In two words: oxidation and heat. Neither oxidation nor heat is good for those nutrients (enzymes) you want in your body. The centrifugal machine uses a shredder disc and a strainer basket with straight sides to hold the pulp in the machine. The shredder disk is at the bottom of the basket, which turns at a high speed ( 3600 revolutions per minute - RPM ). The fruit or vegetable is put into the top of the machine and pressed through a chute. It hits the spinning shredder disc and as it is being shredded, juice is released. The basket spins at a high speed forcing the liquid through the strainer basket and it comes out of the front of the machine. The pulp stays inside the machine. Generally this style of machine can make 1-2 quarts before it must be stopped and the pulp must be removed so this is not a "continuous working appliance," but they are good for most fruits and vegetables. Centrifugal machines introduce oxygen into the juice, creating oxidation. Oxidation degrades nutrients, not immediately, but within a short period of time. 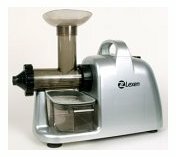 If you use this type of machine you should probably drink the juice very soon after you make it in order to maximize the nutrient value. A Centrifugal Ejection Machine operates much the same way as the centrifugal machine operates, except the sides of the basket are slanted. This allows for the basket to be "self-cleaning", so there is no need to stop it and empty it out. The pulp is ejected out of the machine into a collection bin or basket that can be lined with a plastic bag to collect the pulp and then easily discarded. These machines need to spin faster than the centrifugal ones so this style is the noisiest of all the machines. The latest development in the centrifugal ejection category is the addition of a large feed chute which is 3 inches in diameter, allowing the user to juice without cutting most produce. Centrifugal ejection machines are the easiest to use, the easiest to clean and they are fast. 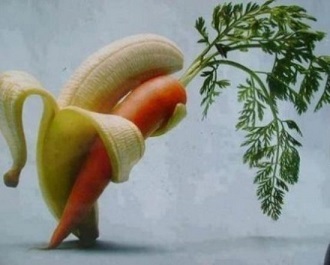 They are good for most fruits and vegetables. Low speed and high speed masticating machines produce a higher quality liquids because they don't produce as much oxidation. These machines combine three operations into one: first grating, then masticating or "chewing" the pulp, then mechanically pressing the pulp to extract the juice. These machines can deal with almost every type of vegetable efficiently, including leafy vegetables. By blocking off the spout (with the blank or solid plate), these machines can be used as a homogenizer to make such foods as raw applesauce, tomato sauce and baby food. They can also make peanut butter and other nut butters and tasty ice cream-like desserts from raw frozen bananas and other fruits. High speed masticating machines could be a problem if too much heat is generated. Heat will destroy nutrients (enzymes) on contact. Single and double auger machines crush the fruit or vegetable into the walls (or screen) of the machine, and in the process extracts the liquid. These run at a low RPM, so there is little oxidation. The juice made with these machines tends to be really pulpy so you need to use the strainer that is included with them. These machines may not be the greatest for fruits. Hydraulic press machines produce very little oxidation and no heat and therefore produce the highest nutrient juice. These are usually expensive and require a lot of effort. A good machine should last for many years. Good ones are usually guaranteed for 5 to 10 years. Inexpensive ones lack reliability and are typically warranted for 90 days to 1 year. Most inexpensive machines are not built for daily use. The cutting blades wear out after 4 or 5 months. And unfortunately, the motor seems to burn out three days after your warranty expires. A good machine will have a powerful motor to allow you to juice harder produce quicker without straining the motor. Power is measured by watts and not RPMs. How loud are these machines? They are all different but generally the faster a machine turns (RPM), the louder it is. Single Auger and Twin Gear Machines are usually the quietest since they operate at less than 100 RPM. Centrifugal ejection machines that operate at 7200 RPM are the loudest. Now ...it's your turn! I strongly encourage you to examine your needs and try an electric, easy to clean, machine. I believe buying a good machine is an investment in health. When you research further, please keep that in mind. You must match the machine to what you intend to do with it. Please evaluate your needs carefully before purchasing an appliance. Thank you for your visit! Good juicing! "I never understood the point of juicing - I always thought I could get enough nutrient from simply eating fruits and vegetables - but mow I am a convert."